In the northernmost part of Spain , the province of Malaga has a particular charm that catches the travelers. Its area is 7.200 km2 and its population is 1,652,999 (2013), which is concentrated mainly in the metropolitan area of Málaga, province capital. This is an ancient land with contrasting landscapes characterized, among other things, by its architecture of white villages and its sunny weather all year round. The province of Malaga is a melting pot of experiences in every sense. 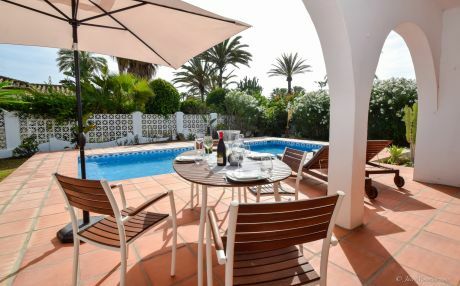 For lovers of the sea, the Costa del Sol offers extraordinary beaches of soft sand where you can relax and tan under a sun that accompanies us for almost 300 days a year. If what we are passionate about is art or culture, there is also a lot to choose from. The historical legacy of great civilizations such as the Phoenicians, Greeks, Carthaginians, Romans or Arabs, whose footprint is present in the form of monuments scattered throughout the Province of Malaga, will allow us to make a journey through time. Among the most prominent sites to visit are the archaeological complex Dólmenes de Antequera, la Alcazaba de Málaga or los Baños árabes de Ronda, which are authentic architectural gems. So are towns like Ronda, Álora, Frigiliana, Torre del Mar or Tolox. The province of Malaga has more than fifteen protected natural areas ranging from the depths of the waters of its coast to the heights of the mountains. 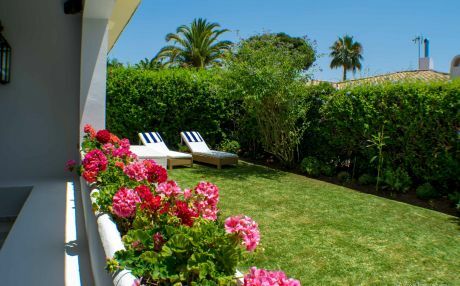 Beaches, dream villages, a tasty gastronomy that mixes the flavors of different Mediterranean cultures and a rich cultural heritage makes this province of Andalusia an excellent destination to discover on vacation. Playa de Maro (Nerja): 5 km from Nerja, Maro beach is in a beautiful natural environment with crystalline blue waters. An ideal beach for those looking to relax by practicing water sports such as kayaking. Playa de Calahonda (Nerja): located just under the so-called Balcón de Europa is the small beach of Calahonda, a coastal area that stands out for its grayish sand and clean blue waters. 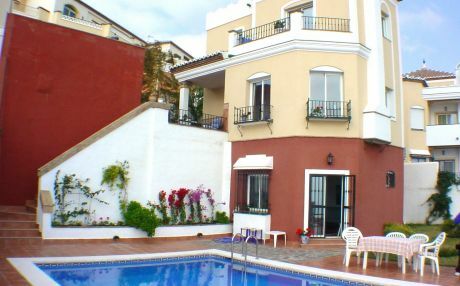 Playa Bil-Bil (Benalmádena): with a pleasant promenade, this beach of the Province of Malaga is distinguished by the striking Bil Bil Arab Castle, which offers fabulous views while basking in the sun on the fine sand. Puerto Banus (Marbella): one of the best known in the region, the beach of Puerto Banús is one of the favorite places of the celebrities. Its calm waters and bluish-green colors sit alongside the most exclusive marina in the Mediterranean. It is a beach that offers all kinds of services and is surrounded by shops and restaurants. 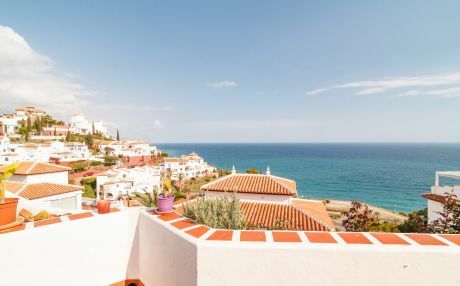 Playa de Burriana (Nerja): Situated between cliffs with spectacular views of the mountainous coastline, Burriana beach is ideal for families as it stretches along a very lively promenade. It is also known for sheltering the famous Ayo chiringuito of the Verano Azul series. 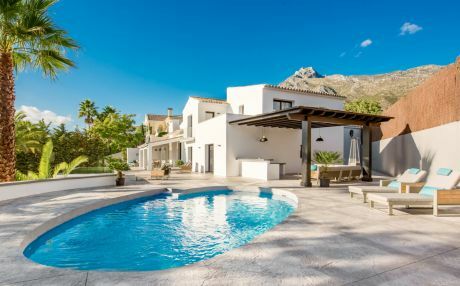 The best way to enjoy a memorable group vacation or with the whole family is to rent a villa with a private pool or a chalet that allows you to feel at home. Having the freedom of independent housing provides a very different experience during the holidays. 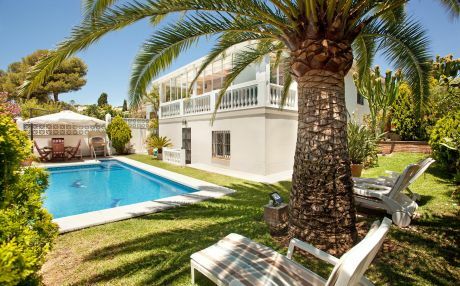 The towns and cities of the Province of Malaga have residential areas where we can find a large number of holiday homes and independent chalets. 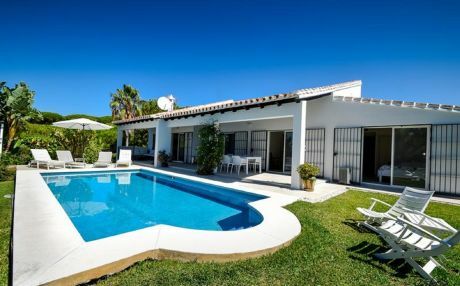 In our website you can choose from a large selection of villas in the Province of Malaga to enjoy a unique vacation.